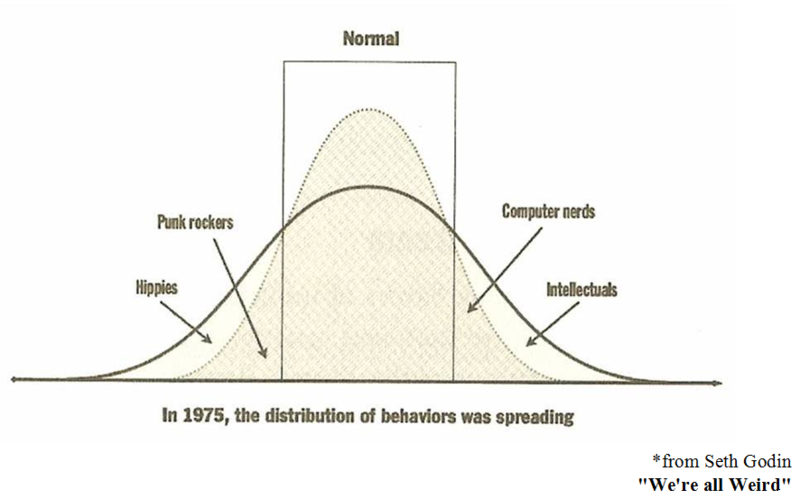 Peripheral Minds are a way to describe the outliers of society or the Broader Autism Phenotype (BAP). And while we tend to think of these as being the minority of a population in reality, if calculations are correct, we are looking at about 60% of the population. The average personality (40%) is socially oriented. 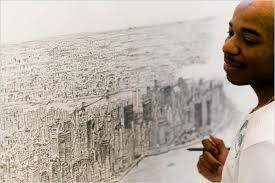 The periphery are the creative, the leaders, the explorers, the artists, the warriors and guardians. This is significant because our current scientific structure is based on finding a single starting point in order to test theories. So we assumed the average would represent the general “everyone”. However, the average under our current paradigm would in fact represent a personality, since there is a larger number of Stoics in any given populace. 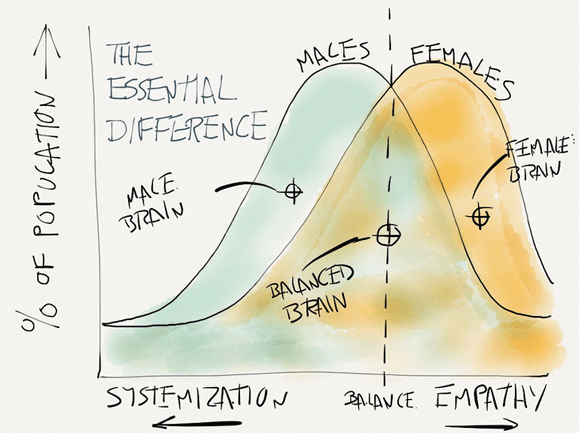 To study true effect of different personalities and outcomes we need a new science. A science that takes into account Peripheral Minds. (*This is significant because personalities (inherent temperament and cognitive-processing types) represent how we react to stress). In Chaos physics there is a concept that is called sensitivity to initial conditions. What it means is that the outcome must take into account the variation of where the system begins (it cannot be reduced to an average). 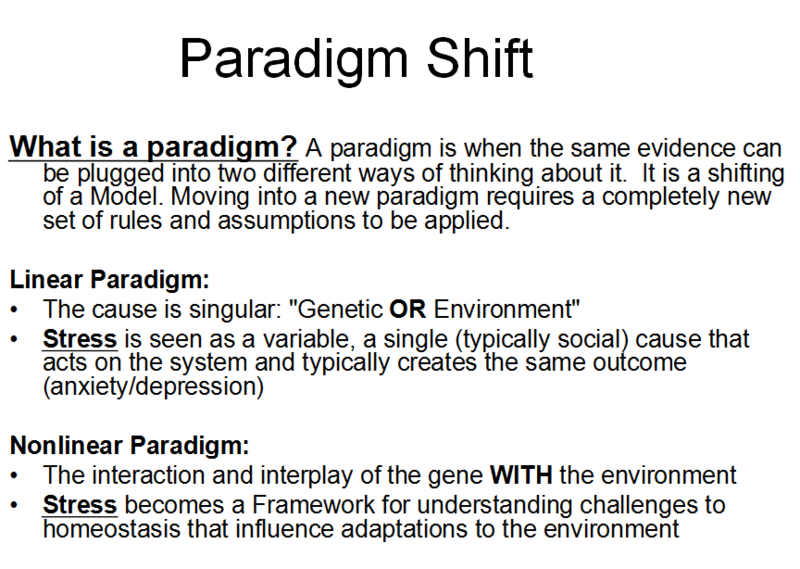 The initial condition of the system will be just as much of a player as the other variables that act upon it. 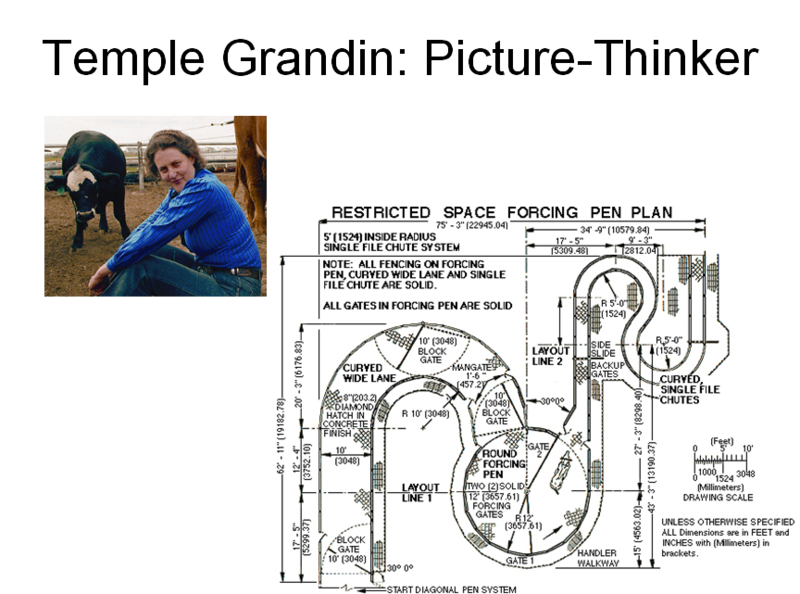 In this manner Chaos Physics would be the correct science for us to understand gene-environment interactions. Why was it not used before this? My guess would be that because we used a scientific framework that relied on the presumption that we would find a single cause and a single outcome for every cause. 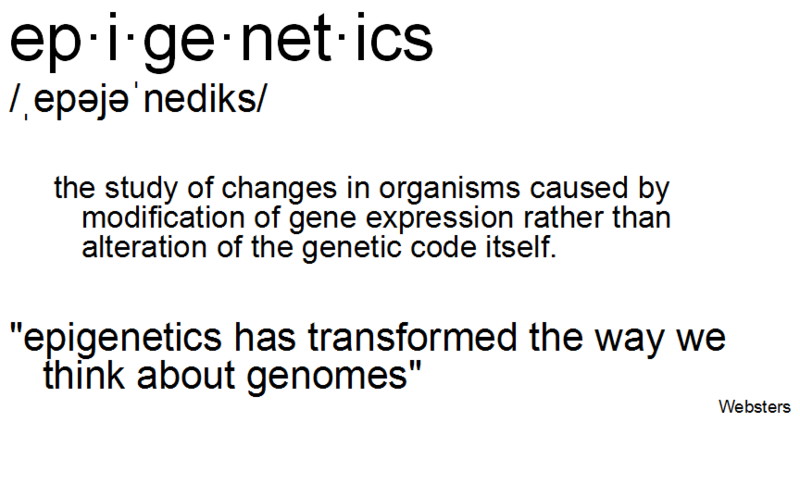 So that framework of science was based on the assumption that if there was a cause it would be either the gene or the environment, so Chaos Physics wasn’t needed. We are now finding out this is not the case. Chaos, Complexity and Systems Models are needed and are coming to be seen as the only way to understand these complex interactions and complex disorders. Many on the Spectrum, including Temple Grandin, suggest Three Main “Thinking Types” seen on the Spectrum: Word-Thinkers, Pattern-Thinkers and Picture-Thinkers. In many ways these coincide with other Personality Theories (including the Factor Five) and categorizations of information, emotional and motivational character traits we see throughout the population. In personality theory there are many ways to describe the majority “Social Minds” and the “Peripheral Minds”. Dr. Helen Fisher describes temperament personalities and the subsequent neurology. For the Peripheral Minds I would suggest the personalities would be; the Negotiator, the Director, the Explorer and to a small extent or the extreme version of the Builder. 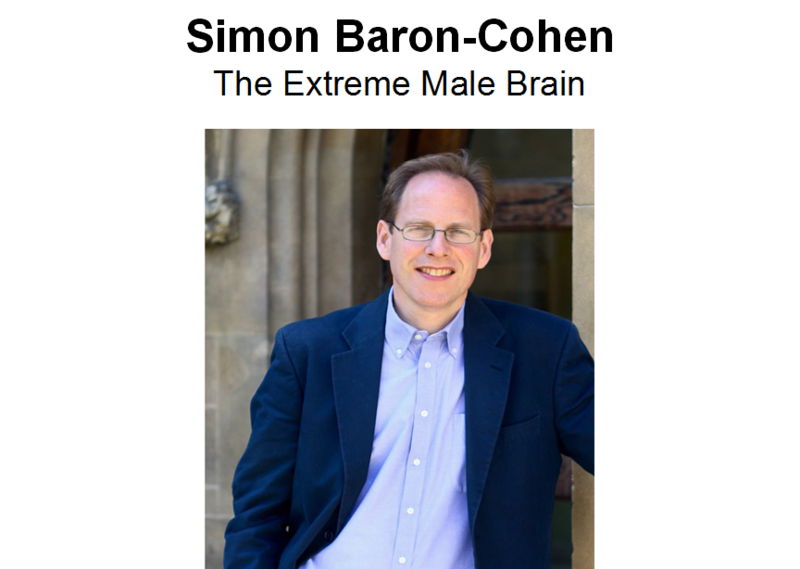 Whereas the typical or average Builder, Dr. Fisher says the predominate personality (42% of the population), would be that of the Social Mind, or as describe by the Autism community, a Neurotypical. 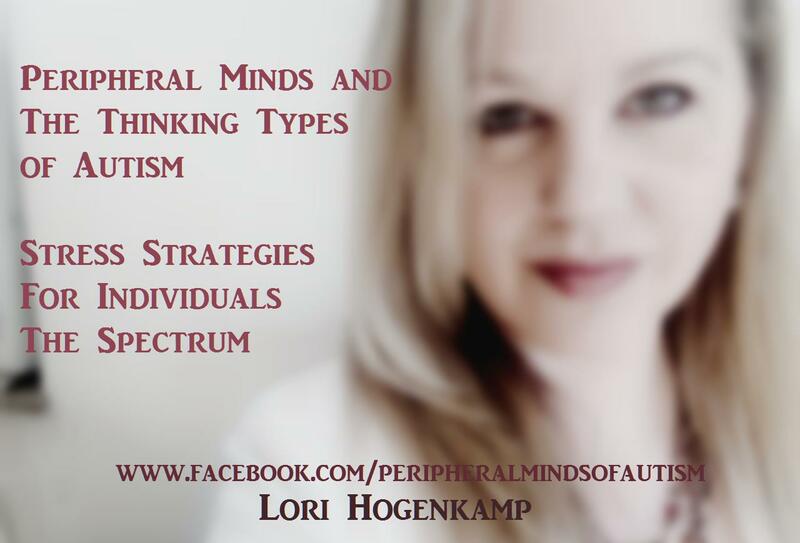 The Neurotypical in the Autism community describes the Socially-Oriented personality, the “normal” personality (if normal represents the majority-sameness). Instead of a normal point (healthy balance) with each personality within itself. My favorite depictions are from Dr. Michael Lessor. He refers to his character types as; the Star, the Lover, the Dreamer, the Warrior and the Guardian, these would be the “Peripheral Minds”. 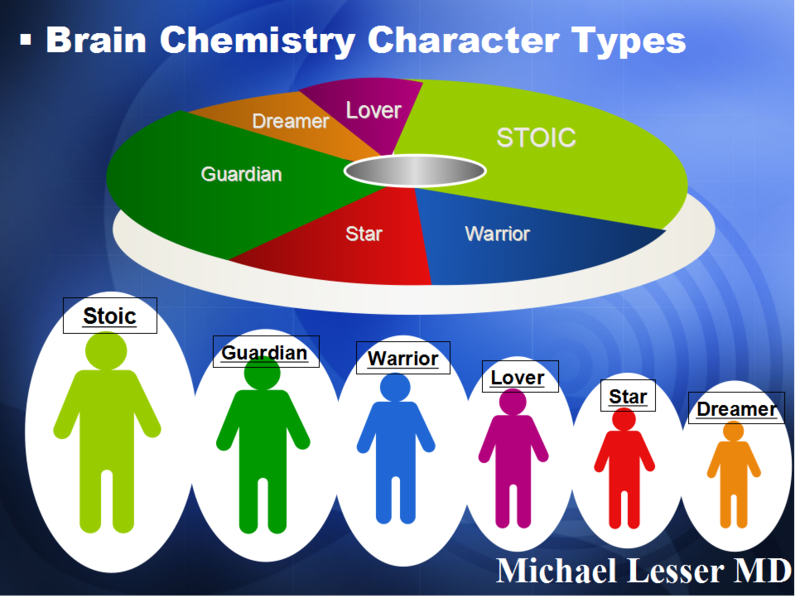 Whereas the Stoic, from his description, which makes up 40-60% of the population are the “salt of the earth” or the Neurotypical. These personality profiles are derivatives of the Big Factor Five. 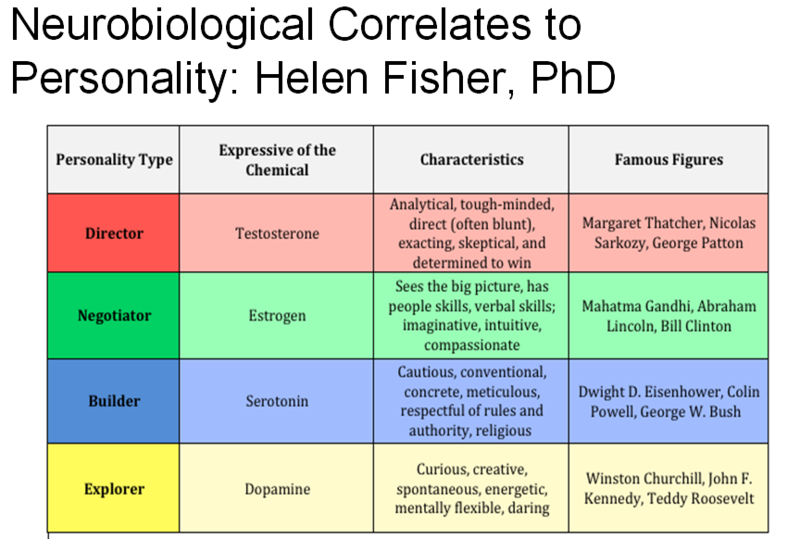 Which are accepted personality traits with suggested correlates in estrogen, testosterone, dopamine, serotonin, other substrates, brain structures and biological basis. The overlap of these and other personalities is shown above. An important contribution from Dr. Lesser is that our concept of mental illness, which mainstream sees as “broken chemical imbalances” are rather “personalities in distress”. In Peripheral Minds this is discussed as a crisis of stress adaptations. 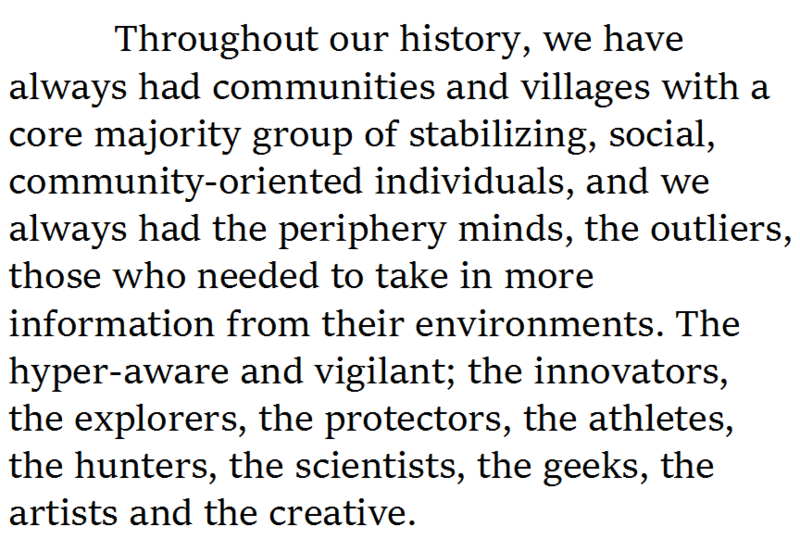 Our personality traits developed over hundreds of thousands of years based on cooperative efforts of small villages. Most process information, and have the subsequent neurology, of “social oriented”, while the periphery (in Autism referred to as BAP, the Broader Autism Phenotype) are those such as hunters, leaders, artisans, scientists and story-tellers. The peripheral personalities because of this unique processing and reactivity could be under a greater (or unique) burden to stress, therefor more susceptible to early life adaptive stress or stress programming. 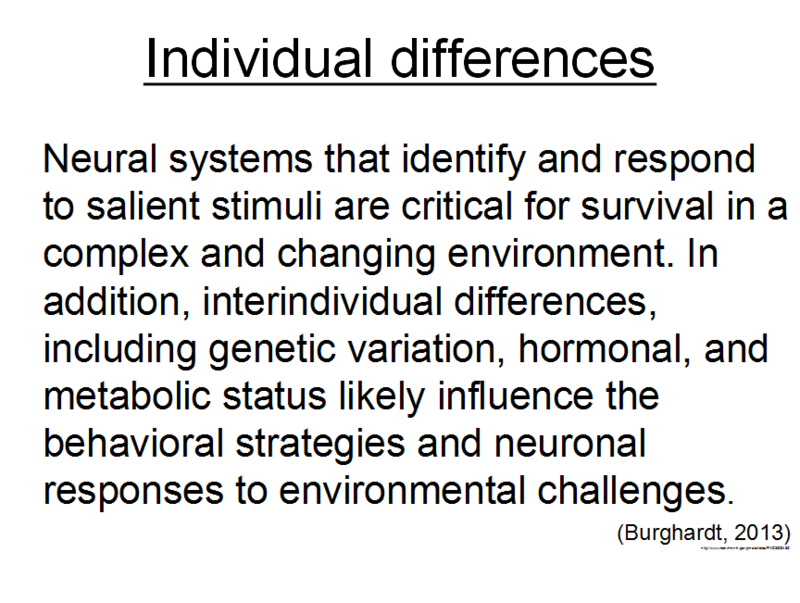 Stress programming impacts multiple interactive sensory and processing systems, which once unbalanced become what we know of as Autism. The more we alter the balances of our ecosystem with pollution, poor nutrition and by taking a linear approach to problems (getting rid of things we think are the problem, which ultimately unbalances an ecosystem). The more we create a world of stresses we can’t handle, the more we lower the bar of our resiliency to stress, the more Autistic dysfunctioning we will experience. The greater the number and intensity of Autisms and subsequent disorders will grow. The word “stress” is often used as emotional or social stress. 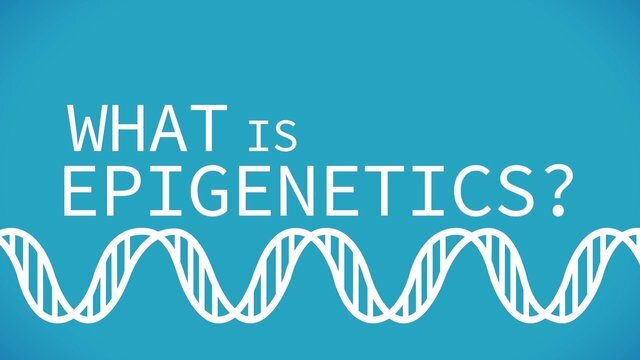 However, when it signifies a framework it represents a complex mix of genetics, environmental factors, adaptations and compensations. 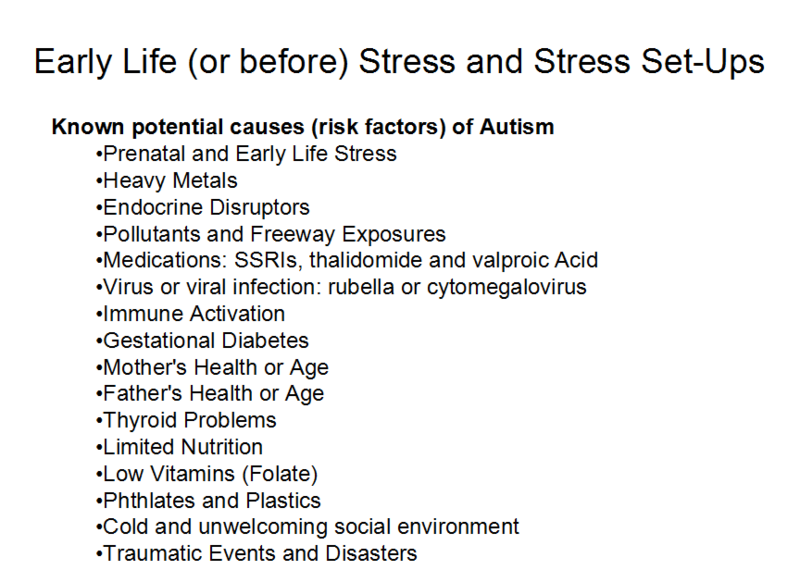 Stress is the combination of many factors. This is why in Autism we see multiple pathways of involvement and multiple causative associations. They give us a broader and more comprehensive view of the complexities of Stress Dynamics and the myriad of influences. In Autism, because of stress dynamics, there are “Many Roads to Rome”, where the same stress can create different outcomes and different stresses can create the same outcome. We need a stress framework so that instead of looking at the physical causes, we are instead looking at the system, the context, the timing and the programming in which those individual factors exert their influence. Stress causes every disorder—so it’s more about timing and context then about the actual stress (ie toxin or event). In Autism we see what is referred to as “Splinter Skills” or expressions of high intelligence, memory or talent. These skills were often seen as out of place for the circumstances of that person’s experience. This is directly in line with the theory that Autism is an amplification of stress responses in Peripheral Minds. Stress responses are also our innate intelligences: how we experience, process, prioritize and remember what is important to the individual. 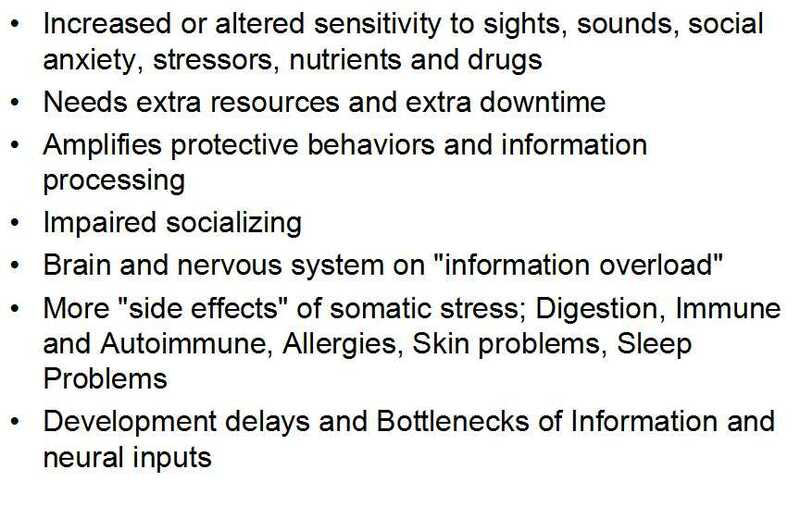 Stress reactivity amplifies many of these talents of sensory awareness, pattern recognition, memory and creativity. However, it amplifies what was already there (or may have come out on its own), in conjunction with other trade-offs. The disabilities of Autism comes in the trade-offs of stress reactivity. 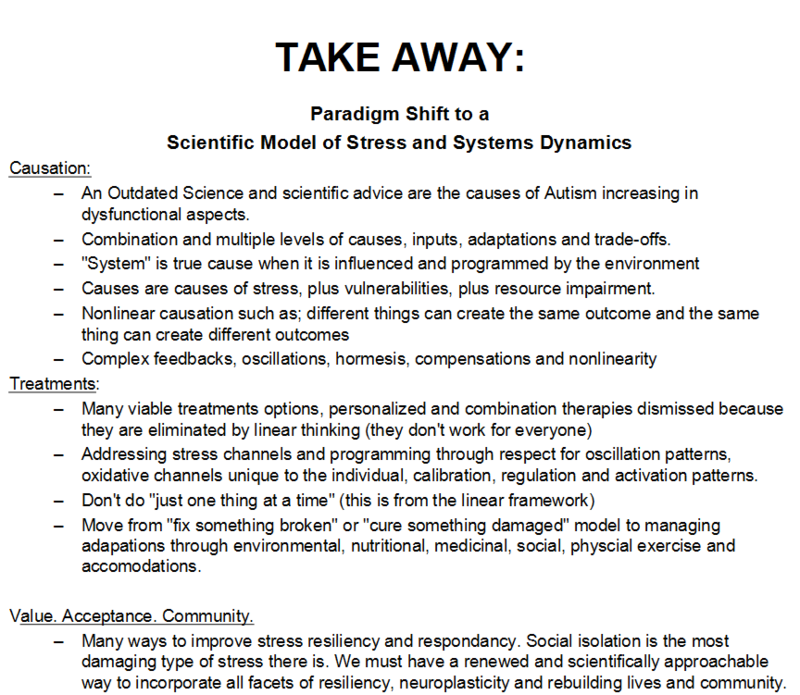 Socially many with autism are in constant threat mode, information overload and in that state have unique priorities. Physiological, immune, digestion and developmental overloads and hyper/hypo activity are also common. Unique in their manifestations depending on the pattern of starting points (genotype/thinking types), timing of impacts, context of energy management and resource availability. 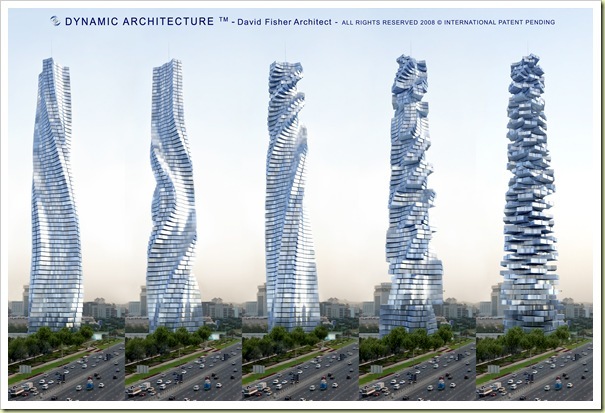 We are each like unique buildings. We use different floors in different combinations to express our talents, processing potential and resource needs. Different people have different active or more heavily used “floors” than others. Each floor might represent a different oxidative channel for balancing stress. 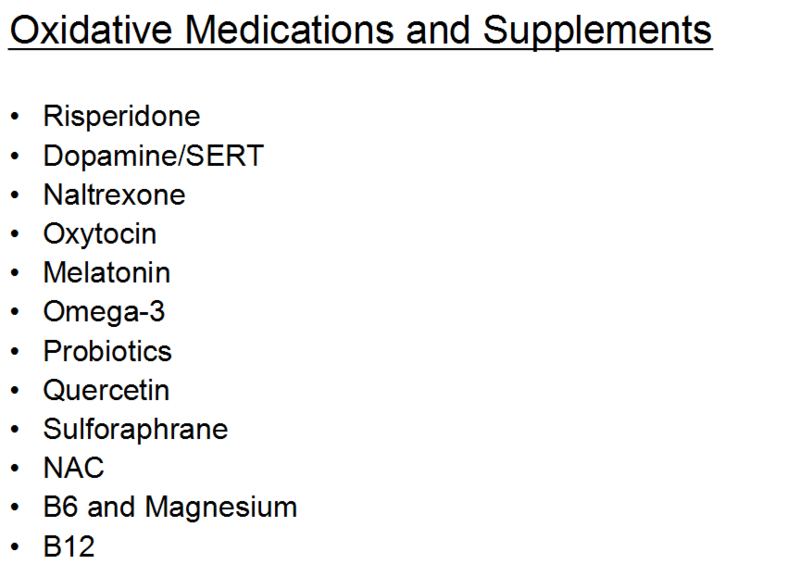 This is why different oxidative medications and nutrition can have the opposite effect on one side of the spectrum as it does on the other. A proven treatment is an absolute treatment that will work on everyone with Autism. 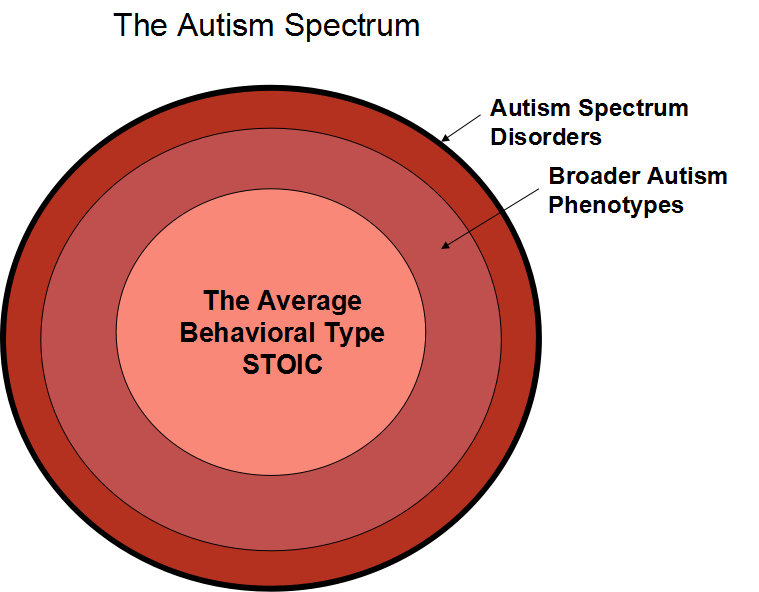 If we see Autisms as climates with disrupted stress systems, there will be both multiple solutions for different subtypes, there will be exchangeable solutions (multiple solutions that will impact and alter the same oxidative pathway), solutions that may work at different times, solutions that work best together and so on and so forth. 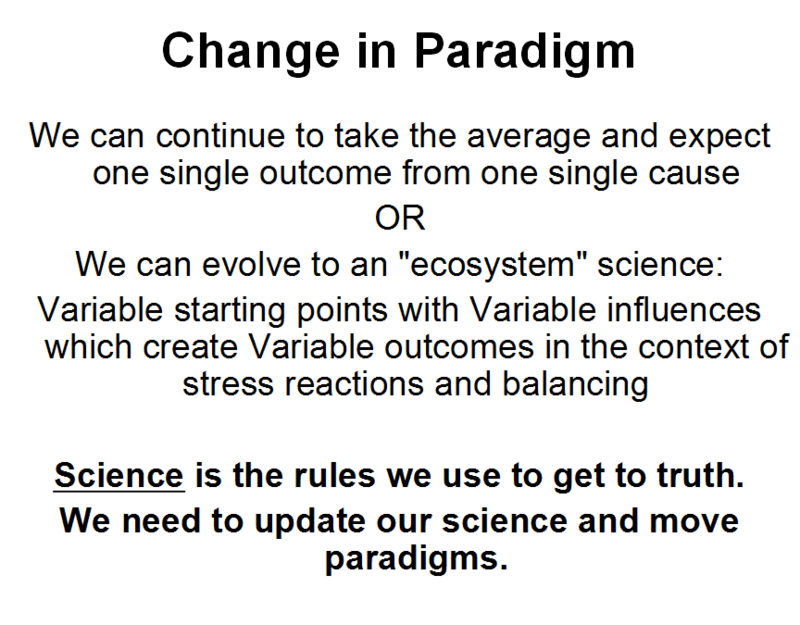 Our current evidence-based science is linear and is about absolute cause, effect and outcome. Autism and stress science is more “flexible” and has multiple lines of interaction and outcomes. It’s still a science, it just needs different rules to get to solutions. 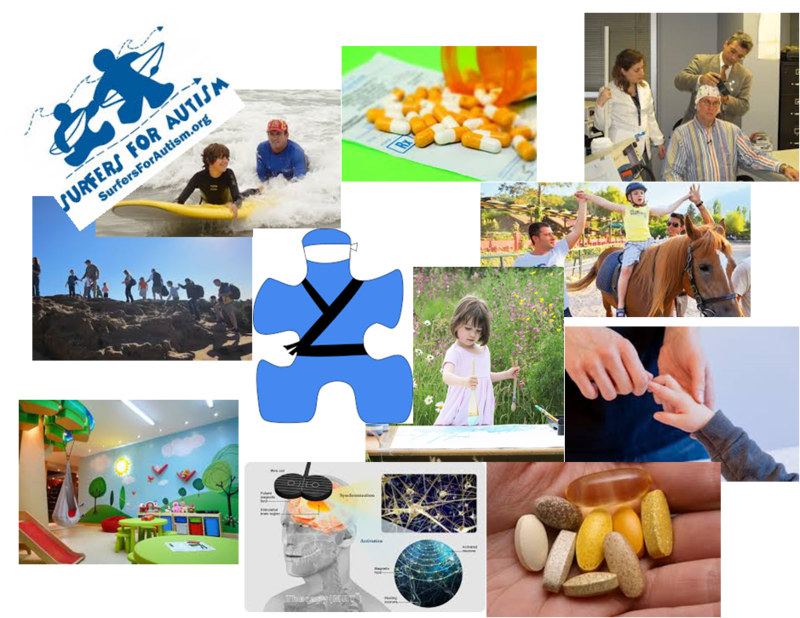 Autism Activities, Therapies and Interventions: Active Exercise, Video Games, Skills training, Play, Stimulation, Relaxation, Downtime, Sensory Play, ABA, Equine Therapy, Karate, Brain Games and Exercises, Surfing, Running, Outdoor Time, Socializing in Safe Environments, Altered Light and Sound preferences, Stimming Toys and Tools, TMS, Qigong, EMDR, Art and Music Therapies. Solutions: Early life Recalibration, Modalities readjusting oxidative channels primed to individual, Taking a “Getting the Train back on the Tracks” approach to multi-faceted interventions. 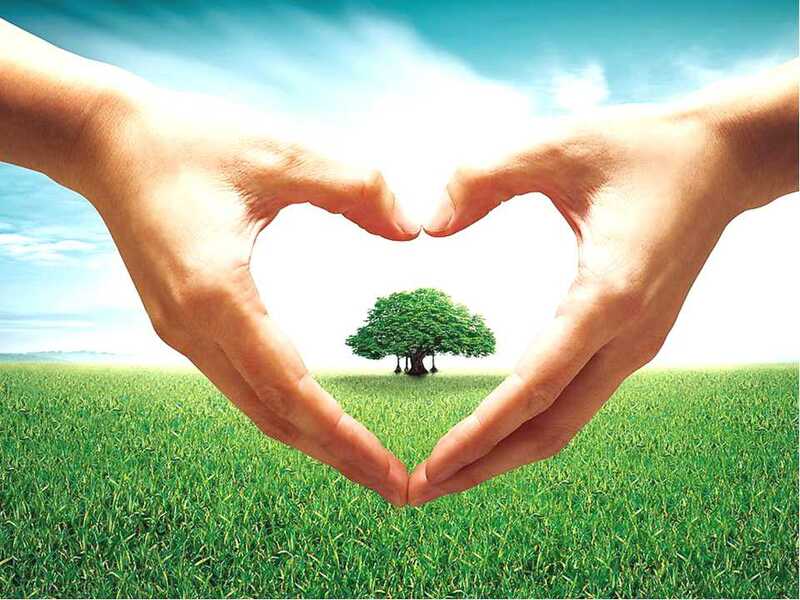 Acceptance, Tolerance, Community of Diversity, Love for the Earth and Respect for our dependence and interaction with it and each other.